Driving takes its toll on your car, especially if it is the cold season. With the best cold weather car battery, however, you can feel more confident about going out there and not having the car stall while you are in the middle of nowhere. We’ll show you our picks for the top cold weather batteries, but first, let’s learn more about them. 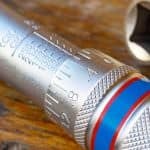 What are cold cranking amps? Cold cranking amps (CCA) is the rating that determines how well a battery can start an engine in cold weather. The rating measurement is in 0° F and it shows how much battery amp can be allocated in 30 seconds. CCA rating isn’t too important if you live in warmer climates, but if you live in cold areas with temperatures around 0° F or lower, get a car battery with a high CCA rating so you won’t have trouble starting your car. Reserve capacity (RC) refers to the battery’s ability to run important functions in case the alternator malfunctions. 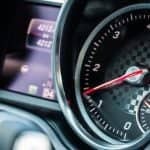 RC rating is measured by the number of minutes the battery is able to pump 25 amps around 80° F. RC rating is crucial if you use a lot of components in your car, i.e. radiator fan, power windows, etc. 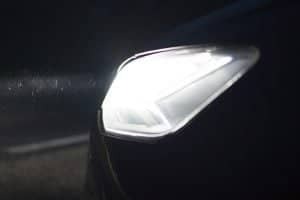 To avoid problems, it’s better if you have a battery that can generate sufficient power so your car’s most important components can still run. The higher the RC, the better for you, especially during the cold season. This might seem obvious, but don’t forget to check to see if the battery you are considering is suited for cold weather. A regular car battery, for instance, won’t be able to hold up in cold weather, because its components are not meant to handle that. Cold weather car batteries have labels which indicate this as well as high-reserve capacity and cold crank ratings. Car batteries for hot weather, on the other hand, have a high lead to electrolyte ratio to compensate for the heat. Car battery size or group size varies, so check your owner’s manual as it should specify what battery size should be used. Lead acid—These cost less than AGM, but they cannot handle deep discharges as well. Their charge is also not as long. AGM—These are designed for repeated recharging, and they are now becoming the standard for new vehicles. They also have several features, such as stop-start systems, fuel saving, electronic safety features and more. Get a cold weather car battery, which can withstand heavy-duty use. It should also be low maintenance. Buy only from reputable companies and brands. This gives you assurance the battery has been well-tested and can handle the cold climate. 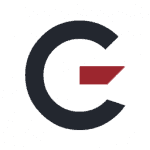 You should also make sure the brand has gotten good feedback from customers. Refer to your owner’s manual for the right size and fit. Do not buy a car battery that isn’t designated for your car’s make. Cold weather takes its toll on batteries, so get one that is compatible with cold climates and won’t require frequent replacements. Fresh batteries: Don’t buy car batteries that are more than six months old. Never use old batteries on your car. Car battery warranties are measured in two ways: the free replacement coverage, and the prorated period where the reimbursement is partial. A warranty code of 24/90 means there is a 24 month free replacement period and a 90 month prorated period. Always check your owner’s manual for more information about what type of car battery is required. Now that you have a car battery, it’s time to install it. This video shows how it is done, but use this as a general guide and refer to your manual for step by step details. The Optima Batteries RedTop Starting Battery has 800-cold cranking amps, giving you sufficient power to start up your car in a cold climate. The RedTop also has a 100-minute reserve capacity so you can get a reliable performance. There is also sufficient starting power here, so you can start your car, even in cold climates. 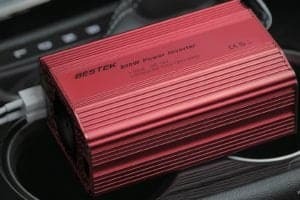 The RedTop also has a solid casing which makes it 15 times more vibration-resistant than other car batteries. 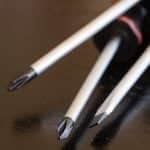 The battery also uses Spiral Cell technology, which consists of spiral-wound cells. These cells have lead oxide coating, which makes it more precise than regular car batteries. The Optima also keeps an eye on the important automated processes, and humidity, temperature, and critical tolerance levels. The RedTop is also built for regular engine starting, wherein the alternator checks the charge state. Performance wise, the Optima delivers. 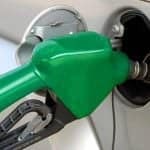 You will have no trouble starting your car, even in cold climates, and with a good reserve capacity, you’ll get optimum performance out of your car. The RedTop is also easy to install, and even someone with limited technical car knowledge can get it set. 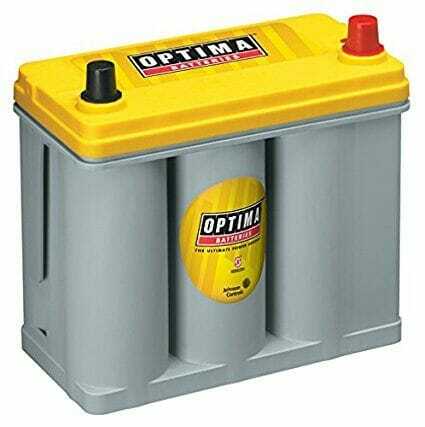 The Optima YellowTop Dual Purpose Batteries have a 450-cranking amp and combined with its 66-minute reserve capacity, it gives you plenty of power to start your engine, even in cold weather. The battery is easy to install, so you won’t have problems getting it into your car. The starting power is also comparable to other Optima products and works great even in cool climates. Resistance level to vibration is high, which makes it more durable than other car batteries. The YellowTop is more ideal for cars that have greater electrical loads than normal. It is also suitable for engines with a greater than average discharge cycle. It is also suited for vehicles which are equipped with electronics or don’t come with alternators. The YellowTop is also versatile and works with racing vehicles, those that run on diesel, and those equipped with aftermarket electronics. It is also suitable for drag racing cars. The YellowTop is also equipped with a Spiral Cell Technology that allows it to perform at higher levels than other car batteries. The YellowTop also keeps tab on vital processes. The Odyssey PC925 Automotive and LTV Battery has a 330-cold crank amp, providing you with the power necessary to start your car. Its warranty includes 4-year full replacement, which is one of the best in the business. Warranty aside, the PC925 also has a long lifespan, good enough for 3 to 10 years, depending on how you use it. The cycle life is up to 70% longer than the typical car battery. It is good for up to 400 cycles at 80% depth discharge. Recharging time is quick and can be completed in 4 to 6 hours. The PC925 has flexible mounting, so it doesn’t spill. It also has anti-vibration properties to protect the battery from shock. The PC925 also works in temperatures ranging from -40° F to 113° F, which makes it more versatile than regular car batteries. The PC925 has excellent starting power, and its deep cycling handles the demands of most vehicles. For rapid recovery, emergency, or regular everyday use, the PC925 gets it done. These are also good for cars with electronics and has an excellent reserve capacity. 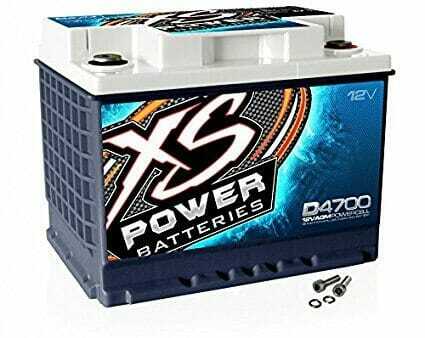 The XS Power D4700 12V BCI Group 47 AGM Battery is a compact but powerful car battery that gives you up to 2900 amps, more than enough to rev up your car’s engine even if it’s cold. 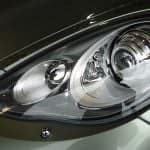 It has a 745 CA rating, and it is suitable for most European cars. Along with the D4800 and D4900, these are made for those who have cars like the Jaguar, GM, Mercedes, BMW, Aston Martin, and Audi. The D4700 is also suitable for those who drive small sedans. In spite of the small size, the D4700 packs a lot of power and should work just fine for SUVs. The battery also performs very well compared to other cold weather batteries. While the instructions could have been better, the installation process is easy to follow. One of the things to ensure the battery works is to make sure it is fully compatible with your car. Not all batteries are designed for European models, but the D4700 is built for that. With this, you’ll get the kind of performance you need for optimum performance, even in cold weather. 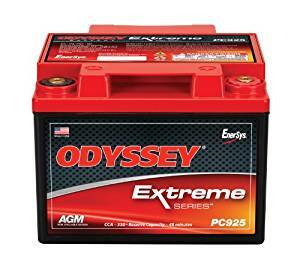 The Odyssey 65-PC1750T Automotive and LTV Battery is a powerful battery with a 960-cold crank amp, so you can power up that engine without too much difficulty. 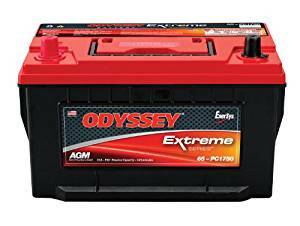 The Odyssey 65 also works well in diverse temperatures ranging from -40° F to 113° F. This range is similar to other Odyssey car batteries, and that speaks of its quality. The Odyssey is built with durability in mind and can withstand constant use in cold weather. Mounting is flexible and the design also takes into account vibration and impacts. The battery also doesn’t vibrate as much as other car batteries. 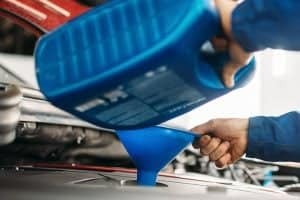 Service life is long and can last up to ten years, with its cycle life longer by up to 65% when compared to regular car batteries. The battery can also go up to 400 cycles, so the discharge rate is higher than regular car batteries. All these specs mean nothing if the battery doesn’t perform well, but it does. After installation, you will see the engine is going to start quickly. The battery also holds up, even on vehicles that are loaded with electronics and other components. Without a good car battery, your car doesn’t amount to much, and not all of them are made equal. In fact, some are good only when the weather’s ideal and performance deteriorates when it gets cold. 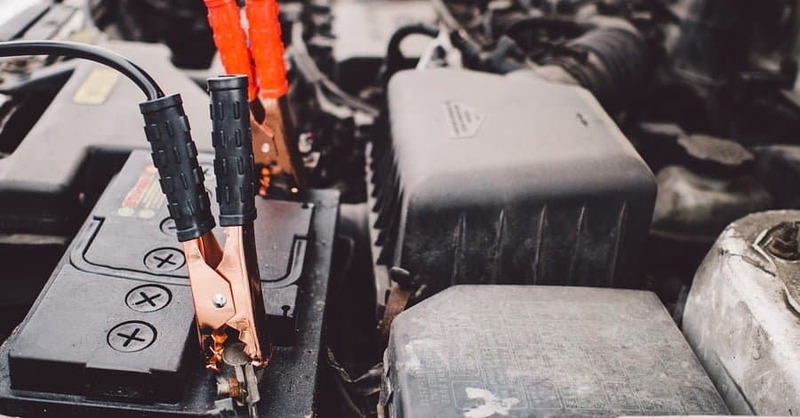 We have heard a lot of stories of drivers having the car battery die out because of the cold, which is why GarageChief picked these five as they can handle it. 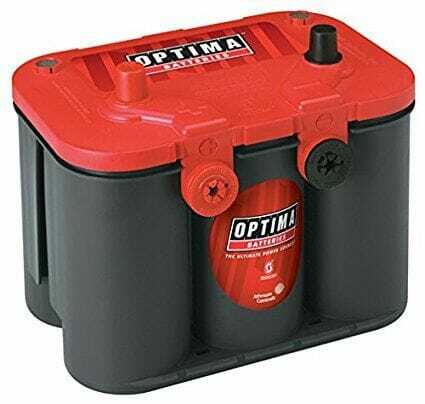 As good as these car batteries are, it’s clear that the Optima Batteries RedTop Starting Battery is the best of the bunch. Its cold cranking is excellent and suited for cold weather. We also like its reserve capacity and the design is solid, perfect for cold weather use. We also have to point out that the starting power is among the most impressive that we have seen, and it is certainly good enough for a lot of cars. The point is this: If you live in an area where it gets really cold, you will need a car battery that can adapt to it, and the Optima RedTop is one that can do it for you. Compared to other batteries, there’s just more power and flexibility here, so we give it the thumbs-up.